AlHakam Shaar is the Holbrooke Fellow for The Aleppo Project at the Shattuck Center on Conflict, Negotiations, and Recovery at Central European University in Budapest. 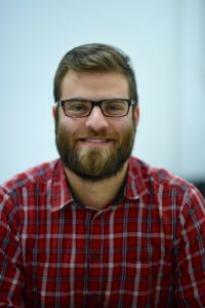 Since he joined the Aleppo Project in January 2015, he has collaborated with Aleppians of all walks of life, including urban planners, cultural heritage experts and civil society actors, and worked closely with graduate students of public policy researching problems that are most likely to face post-war Aleppo. 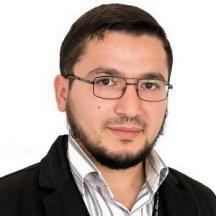 AlHakam was lecturer of English at Isik University, Istanbul and holds a Masters in TESOL from the University of Aleppo. His fascination with Aleppo’s heritage started at the age of ten when his family renovated and moved to an Old Aleppo house. Bashar Swaid is a member of the Architectural and Technological Design Laboratory at the University of Calabria. For the past twelve years he has worked on interdisciplinary issues like urban development, rehabilitation of historical Islamic cities, and parametric and algorithmic architecture. He led a team preparing the detailed master plans dealing with informal settlements, expansion and industrial areas in Damascus and Aleppo between 2006 and 2012. Bashar is a co-founder of Al Diwan engineering consulting office in Aleppo, and he chaired the supervision team for constructing the new industrial city (Al-Belleramon) in Aleppo from 2010-2013. Bashar holds a European Ph.D. in architectural and urban composition from the University of Calabria, a masters in planning and environment from the University of Al-Baath, and a bachelor’s of architecture engineering and a diploma in city planning from the University of Aleppo. His research interests deal with bio-inspired design solutions for emerging complex adaptive systems such as the historical contexts, where he developed an innovative evolutionary technique for filling the destroyed urban gaps in Aleppo. Bashar taught courses on urban and architectural design in many public and private Syrian universities from 2007 to 2013. He participated in many international conferences and published papers in Arabic and English.